Controversy over the submissions of the Law Society on proposed plain packaging law for tobacco products continues. It seemed, initially, that the Law Society was going to take the concerns raised by myself and a number of colleagues seriously. I was told that certain things would be looked into and a proposal was going before the Council of the Law Society in relation to lobbying. But we were also referred to as a “vested interest” (!) by the President of the Law Society who subsequently dismissed our views as “conspiracy theories” and has effectively refused to look into the issue any further. When they appeared before the Oireachtas Joint Committee on Health & Children, the President and Director General were also at paints to point out that IP was not an area they specialised in. The problem with the submissions is that if they are examined with any reference to people who do have knowledge of IP law it is plainly obvious that the submissions do take sides. So it is useful to add to the debate a contribution from Dr Matthew Rimmer, a leading Australian IP academic, which has been published here. In its efforts to thwart the introduction of plain packaging of tobacco products in Ireland, Big Tobacco and its allies like the Law Society of Ireland have marshalled a number of arguments, similar to those which decisively rejected in Australia. It is disappointing that the Law Society of Ireland has been promulgating a number of myths promoted by Big Tobacco. It should better than to uncritically adopt the rhetoric and the talking points of the tobacco industry … Rather than listen to Big Tobacco’s phony arguments about trade and intellectual property, Ireland should introduce the plain packaging of tobacco products to protect the common good and the public health of its people. The Sunday Independent reported yesterday on the infamous “Kilkenny trust” that supposedly allows you to scrub a property free of bank debt, as if by magic. It was reported earlier in the Summer that certain business people, including Bill Cullen, were using the mechanism. Given the privacy of the operation it is difficult to ascertain from news reports what has been going on but, helpfully, Karl Deeter attended a presentation about the scheme and has blogged about it here. I am not a trust specialist but, in my professional opinion, it looks mad. Why are they recruiting people to enter into the trust? Usually, legal and accounting mechanisms are put in place by a combination of accountants and solicitors to help their clients achieve a certain goal. It is unusual for non-professionals to go about recruiting people to join a scheme like this and, as Karl points out, the don’t seem to have professional indemnity insurance to protect clients when things go wrong. However, I note that they charge a fee themselves. They get you to set up “a private trust in private”. What does the second use of the word private achieve? What is meant by getting a notary to create a “Court of Record”? I’ll tell you: nothing. It makes no sense. A court of record is a court, and notaries don’t “create” courts. In fact, the only notaries in Ireland are notaries public who are only involved in transactions with an international dimension. There is no international dimension to these transactions so a notary should not be involved. The most an Irish notary public might do is verify some document or signature but, again, a notary public only does this for use abroad and a solicitor or commissioner for oaths would suffice. They say that only your folio number goes into the trust. This makes no sense. A folio number is a record number for registered property and has no life or value apart from the property. You couldn’t sell or rent your folio number separately from the property, so how could you transfer it into a trust on its own? This has all of the hallmarks of something that is either ‘too good to be true’ or perhaps ill thought out and where the absence of a challenge to date is being taken as evidence that ‘it works’ which is not how the legal system operates. The moving of an asset to a trust doesn’t mean a legal charge suddenly doesn’t exist, it doesn’t mean that there was never a lien or a contract between two parties, if using trusts to stop creditors was that simple we probably would have heard of it before now. Of the people at the meeting none of them seemed highly literate financially, several disclosed that they were borrowers of sub-prime lenders and the common thread was that they were all vulnerable and perhaps willing to believe something too easily, because I have learned from experience that when a person is drowning that even if you throw them a rock and say it will float that they are willing to give it a try. Domestic violence victims can seek a range of orders under the Domestic Violence Act 1996 which, it is hoped, give additional protection from violence. Like all family law cases in Ireland, domestic violence applications are held in camera and the public is excluded from the courtroom. However, if a domestic violence order is breached, a criminal prosecution is brought and held in public. Anyone can attend the hearing and the media can report on it. After years of this unacceptable position being tolerated, it appears that situation will change. I can find no policy justification for the existing law and it appears to be a loophole: no-one thought to say, by the way, if an order is breached the prosecution should take place in camera. Because of the risk of publicity, it is unsurprising that victims of domestic violence often do not wish to appear as a witness for the prosecution. In a worst case scenario, the very mention of potential media publicity can discourage a victim from even seeking an order in the first place. It is entirely unsatisfactory for victims of domestic violence to be put in the position where they will not participate in a prosecution or report a breach due to fear of adverse publicity. Publicity does not only affect the victim but also children, who are often involved in episodes of domestic violence. Even if they are not involved the victim is likely to be conscious that the children may be old enough to learn of case reports in the local paper. Victims, rightly or wrongly, may still wish to protect an abuser’s reputation for the good of the wider family and the publicity involved in prosecutions will discourage them from reporting a breach or appearing as a witness. the greatest reduction in applications was for barring and interim barring orders, down approx 39% and 54% respectively. The 2011 annual report of the Courts Service shows an increase in applications for domestic violence orders in that year as compared with 2010 but the overall trend over the past 10 years has been downward. There may be many reasons for the dramatic decline in applications under the 1996 Act but the reluctance to prosecute breaches must be having a knock-on effect on the willingness of victims to go to court for an order in the first place. In August, I wrote to the Minister for Justice asking if this loophole would be closed. Today I received a reply: it will. [The 2010-2014 National Strategy on Domestic, Sexual and Gender-based Violence National Strategy] addresses the improvement of legislative provisions to protect victims of domestic violence. Among the proposed improvements is an amendment to s.17 of the Domestic Violence Act 1996 to provide for the anonymity of parties to proceedings for breaches of orders made under the Act. The proposed amendment is expected to be included in a Criminal Justice (Miscellaneous Provisions) Bill which is presently with the Attorney General’s Office. The National Strategy mentioned improvements to domestic violence legislation, as did the Fine Gael manifesto and the Programme for Government, but neither explicitly refer to closing the publicity loophole. It is good news that the Government is now doing so. We can’t all access the courts. We should at least have access to court documents. Seth Barrett Tillman had an excellent oped in yesterday’s Irish Independent on the question of open justice and, in particular, access to documents filed in court by litigants. It is taken for granted in many jurisdictions that journalists and members of the public can see written arguments, allegations and facts submitted by parties in advance of court hearings but, in Ireland, an iron curtain of secrecy protects documents filed. Why should you care? First, the current position of the Irish courts is inconsistent with modern notions of transparency, access to information, and simple fairness. It is also inconsistent with prevailing western good governance norms. Judges are government functionaries and filings in lawsuits are, when all is said and done, an effort to lobby them — most frequently by private parties. The public has every right to know who or what entities are lobbying the judiciary, what factual and legal arguments they are making, and what relief they are seeking. Second, these submissions often form the basis of hearings, oral arguments, and other trial court or appellate proceedings. But such proceedings are incomprehensible (or nearly so) without advance access to these documents. A judge will frequently refer to these documents during such proceedings; likewise, attorneys frequently frame their answers by referencing the arguments and factual assertions made in their submissions or those of their opponent. Although the public can attend all such hearings under the Irish Constitution’s “open courts” provision, the right to “hear” such proceedings is not meaningful without access to the parties’ briefs. This is particularly true in so-called complex litigation, involving multiple parties, multiple issues, and multiple jurisdictions. Third, competition for legal services is stifled by the lack of public access to these documents. Attorneys who wish to practise in a specialty which is new to them lack access to a library of written filings to use as models. Tillman is absolutely correct in arguing that the lack of public access to court documents effectively limits public access to the courts and therefore the citizen’s right to see justice being done. In addition, it must obviously make life unnecessarily difficult for journalists who must rely on what is said in court along with whatever information the parties are willing to share. In fact, it is often difficult or impossible to even obtain a copy of a written judgment resulting from court proceedings. Anyone who has spent time in court will agree with Tillman’s statement that proceedings are incomprehensible without seeing at least some of the case documentation in advance. At a very practical level, it can even be hard to make out what is being said. Tillman suggests that an amendment providing for greater transparency could be inserted into the Legal Services Regulation Bill. On the basis that no-one knows when that legislation will be passed, I would go one further and suggest that the Government could include it in a Civil Law (Miscellaneous Provisions) Bill before the year is out. seek[s] to promote the common good, with due observance of Prudence, Justice and Charity, so that the dignity and freedom of the individual may be assured [and] true social order attained. Some people don’t like that the system exists at all. Others dislike the cost. A small number of lawyers make a lot of money from the legal aid budget, but they tend to work exclusively in criminal defence. And they work hard: criminal defence is far less profitable than many other areas of law, including areas that consume far greater amounts of taxpayer funding. An email has been circulated among criminal defence lawyers proposing a Criminal Law Practitioners Union (CLPU) to lobby and negotiate with the Government on the system of criminal free legal aid. The email says that, when the next round of cuts are implemented, the fees paid for criminal legal aid will have been cut by up to 50% of their 2007 level. Cuts of this magnitude will put a large number of [criminal legal aid lawyers] out of practice and seriously undermine the fair and proper administration of justice in criminal law. Cuts of this magnitude are unfair and unjust and impose a greater burden on us than on any other ‘public service sector’. Two points are involved here: the public interest argument and the private interest argument. The latter doesn’t interest me and will not find much sympathy with the public. But this issue is not about incomes: lawyers are also professionals who want to represent their clients’ interests, not just in court but before they reach it. The email points to an interesting comparison which contextualises the legal aid budget: the legal aid budget is around €57 million annually, whereas the annual bill for legal fees for a single State agency, the HSE, is around €30 million. Up to May 2011, Arthur Cox had earned over €11 million advising the Government on the banking crisis alone. The email seeks support for the CLPU to negotiate terms and conditions of a contract with the Department of Justice for legally aided criminal defence. I would expect that the CLPU will run into competition law issues but the email states that nothing will be done to distort competition. The email suggests a picket on the courts as a final measure to protest further cuts. This will inevitably be the focus of headlines and the move would be reported by the media as a strike to protect the income of lawyers, rather than a strike to protect the interests of justice. A serious public interest issue is at stake and is unlikely to receive the quality of discussion and debate regularly achieved in the UK. The timeframe for action is tight, and apparently over 100 lawyers have already indicated an intention to join the CLPU (around 30 of whom are solicitors). In the meantime, it remains unclear what has become of the last government’s mad proposal to move responsibility for the criminal legal aid system to the Legal Aid Board. However, Brendan Howlin’s Ideas Campaign-style search for solutions has apparently generated the suggestion that inexperienced law graduates “be deployed” to the legal aid system. Today, the Limerick Leader reports on informal discussions between the Courts Service and the Gardaí about moving sittings of the Newcastle West District Court to Kilmallock, about 36 kilometres away. Kilmallock has benefitted from huge investment in recent years, whereas Newcastle West District Court remains antiquated and with few facilities. However, it is still a functioning Court building. It goes without saying that moving District Court sittings to Kilmallock would have a significant impact on business in the town. The effect would be felt not only (not even most severely) by solicitors, who already travel around the region to represent clients at various hearings. It would, however, force a further downturn on the restaurants, cafes, pubs and shops in the town that get a considerable lift to their business when the court sits. For those not familiar with Newcastle West, it’s an old market town in West Limerick. It’s the biggest town in the County and familiar to many travelling to Kerry as the main road passes through. Courts leet and baron are held by the seneschal of the manor, and petty sessions for the district are held every Friday. Over the centuries, as with any market town, court and market days brought significant life and business to the town. 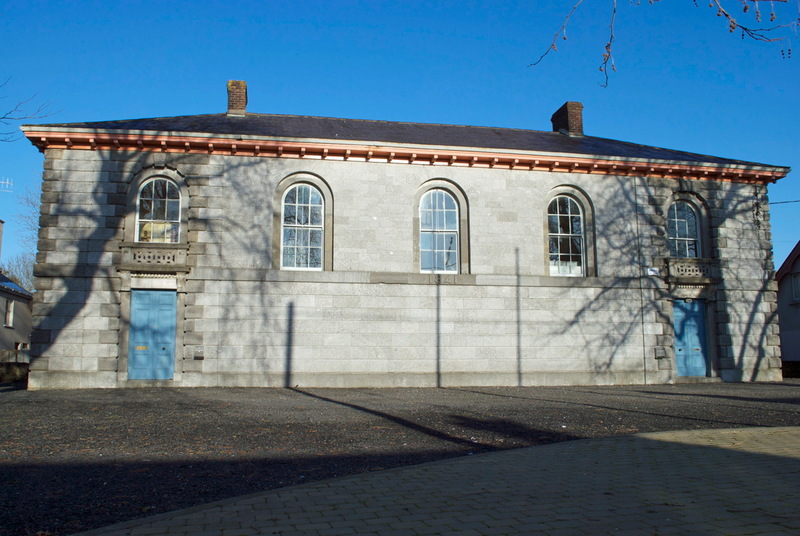 The market days are mostly a thing of the past, but Newcastle West District Court still sits regularly and incorporates the old sittings of the Adare, Rathkeale and Askeaton courts. Aside from monetary concerns, moving the court would have a psychological impact, stripping the town of an important official function. The town would be somewhat diminished as a result. And while 36 kilometres might not seem a tremendous distance, there is no direct means of public transport from the Newcastle West area to Kilmallock. PS. Incidentally, last year the High Court rejected a challenge taken by solicitors in the New Ross area against the temporary relocation of that town’s court sittings to Ardcavan. The challenge was on public interest grounds and on the basis that the move threatened the applicant’s right to earn a living. The case is interesting because it related to temporary arrangements in the case of an “urgent need” or where the courthouse involved becomes “unsafe or otherwise unusable”. This is not the case with Newcastle West District Court. We embarked on a strategic review during 2010, with the assistance of significant outside expertise. It was recommended that we provide indemnity in 2010/11 and then sell our book of business. When the London insurance market became aware, earlier this year, of the possibility of a Master Policy being introduced for Irish solicitors, any interest in the [SMDF]’s book evaporated. What the letter diplomatically omits is the identity of the party who made the London insurance market aware of the possibility of a master policy being introduced. It was, of course, the Law Society. The Law Society and the SMDF have already been criticised for seeking a bailout from Society members rather than SMDF members. But, it now transpires, the SMDF found a solution to its problems which might not have involved calling on all solicitors to bail it out. The Law Society went public with its (still!) undeveloped idea of a master policy, depriving the SMDF of the opportunity to sell its book. The Law Society will now impose a new solution, at significant cost to its own members.